This is the very first time ever that all the shots for today's post were taken with my IPhone! You see I'm on spring break so although that leaves me with no photographer to take outfit shots, it also leaves me with a very good reason to NOT get dressed in anything more than workout clothes! Since this week is so casual I needed shoes to match. 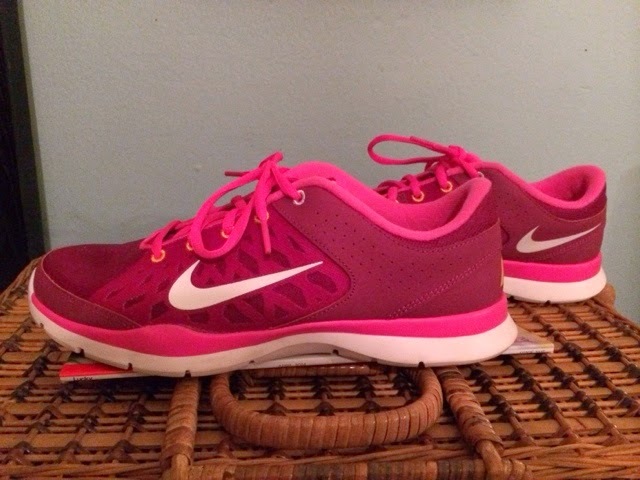 I don't like wearing my running shoes just to walk around so I needed some "walking-around" shoes! While making a return to the newly opened Nordstrom Rack on North Avenue (free parking!) 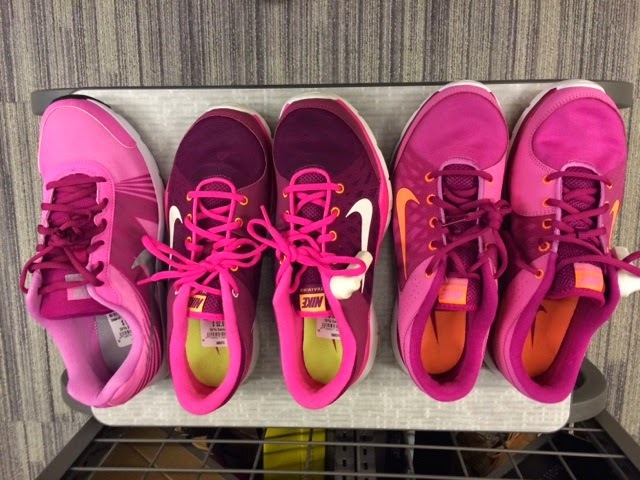 I discovered it's pristine shoe selection with an abundance of pink Nike options! All under $60 too! My heart skipped a beat! 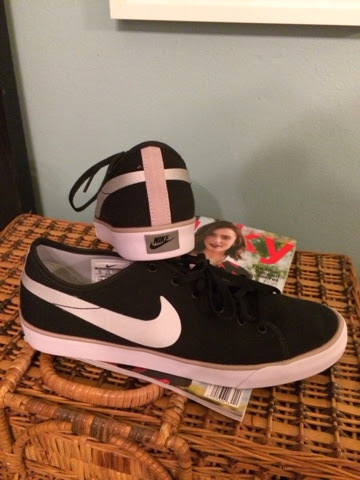 I finally decided on these black canvas ones with a faint blush trim to replace my beloved yet salt-stained Nike Victoria's, and the hot pink and raspberry pair below! If you are in the market for some new casual shoes stop over there before the place looses it new-store-smell and turns into a disaster! Selection is great right now! Happy shopping! So much PINK! How do I decide? Shop these bold sneakers below!